I meant to include this in yesterday's meatloaf. 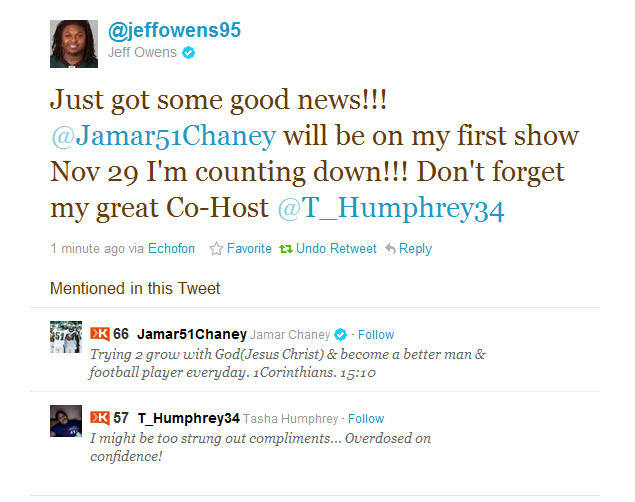 But in case you haven't heard to word on the street, Jeff Owens is set to have his own radio show. You might remember from his playing days he was pretty savvy with the media. He even did some player interviews on his blog. Looking forward to more from this DGD. You can follow Big Jeff for updates as well as the show's twitter - JeffOwensShow.